We are always looking for ways to help people plug in where they feel led to serve in the Body. If you have instrumental skills or are looking to hone your skills and would like to offer them in worship, we’d love to help you! There are growing opportunities for instrumentalists here at Calvary. Whether playing in the praise band, serving as accompanists for rehearsals and ministries or providing special music during corporate worship times, your instrumental offerings would be useful, needed and appreciated. Praise band prospects are asked to interview with Rosanna prior to attending rehearsal or joining the band. 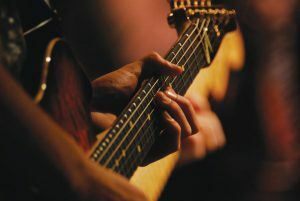 Soloists should be well-prepared and expect to attend a sound check session earlier than the intended performance time. Please e-mail Rosanna if you are interested in participating.